This course introduces the student to visual perception and conceptualization. Through lectures, discussion and studio exploration students will discover the fundamentals of design, the design process, and creative thinking. Hands-on exploration, sketching and analysis, will allow the student to explore and apply the elements and principles of design, developing an awareness of its application within our environment. Theories pertaining to human factors will be explored including proxemics, anthropometrics and ergonomics. Students will work individually and in groups to create 2D and 3D solutions, presenting their ideas to their peers. The class is held Monday to Thursday for two weeks (M-R 10:00am-2:30pm). Registered students MUST attend the first day of class. **There is no late registration for this course. No Class on April 20 (Sat) - Easter Weekend. No Class on May 18, 2019 – due to Victoria Day Weekend. Classes are held on Wednesdays from 9:00 -16:00. Registered students MUST attend the first day of class. **There is no late registration for this course. Please make sure you are able to attend all classes. 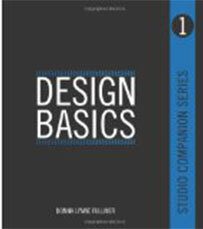 Identify, define and illustrate the elements and principles of design. Analyse interior design projects to check the implementation of the elements and principles of design. Develop an awareness of design concepts. 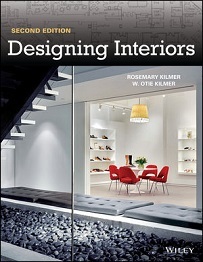 State the regulatory bodies for the interior design field. Create a journal/sketchbook to record information, showing design awareness. Use relevant design vocabulary in their work. Analyze illustrations that pertain to concept development in interior design. Explain the steps in the design process. Identify theories pertaining to human factors. Interested in being notified about future offerings of INTD 1100 - Design Theory 1? If so, fill out the information below and we'll notify you by email when courses for each new term are displayed here.